* ... SOUTH BOUND: Heard from local farmer Jack Pandol and his wife Carolyn who said daughter Cici, a senior at Bakersfield Christian High School, will be attending University of Richmond in Richmond, Virginia. Her older brother, Jack Jr., also a BCHS graduate, is a junior at Washington and Lee University in Lexington, Virginia. He is a double major in politics and Spanish and is currently studying in Spain with a group from Washington and Lee. Brother and sister are excited that they'll overlap for a year in Virginia - Richmond and Lexington are just two hours apart. Said Carolyn: "Mom and Dad look forward to more wonderful trips to Virginia (particularly in the fall) as we have thoroughly enjoyed visiting the past three years for our sons' Parents Weekend. Proud grandparents are Jack and Winnie Pandol of Delano, and Don and Izetta Camp of Bakersfield." Two local kids going to outstanding Southern universities. * ... OBESE NATION: Dinner conversation with friends the other day turned to the scourge of obesity, particularly among young people. One friend challenged us to find old photos from our elementary school days and find an obese student. "Every grade had one or two fat kids and that was it," she said. "Today most of the kids are overweight." She's right of course. How many times do you look around and see 12 and 14-year-old so grossly overweight you wonder what they get fed at home. Of course that means childhood diabetes and all the associated health risks. So it is diet, lack of exercise, both, or something else? It's a problem that must be addressed. 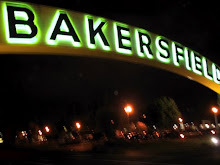 * ... OUTSIDER'S VIEW: Ever wonder how outsiders view Bakersfield? I do. So it was interesting to meet Donna Fisk, a Disney public relations specialist, who was in town recently to promote a new attraction at the Anaheim theme park. She lives in Fullerton and had never before been to Bakersfield. Her thoughts? 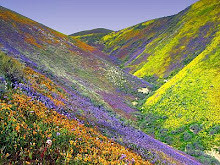 "I think it's romantic, with all the agriculture, very pretty," she told me. Now that's the kind of publicity we need. * ... SPARTANS: Heard from another graduate of San Jose State, local occupational therapist Emily Troxel. 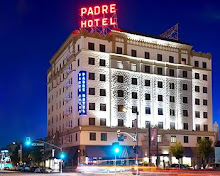 "I was born in Bakersfield and graduated from San Jose State University in Occupational Therapy and returned home to work. SJSU has one of the few OT programs available in the state. I know of several other local OTs who graduated from SJSU and came back home to our community as well." 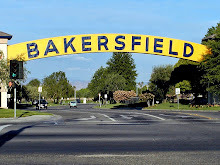 * ... HOME SWEET HOME: Reader Bonnie Farrer weighed in on the things she likes about Bakersfield. "Your list is good. I would add: Hart Park; Floyd's Hardware; Bakersfield Symphony; polite, friendly, helpful people; beautiful and affordable neighborhoods." * ... BAKERSFIELDISM: You know you're from Bakersfield when the "you react to the opening of a new Target like it's a Hollywood premier."